So, you’re ready to commit to your meditation practice and get more comfortable, but, with so many different styles of meditation cushions, how do you choose? This guide will walk you through the difference between each cushion so you can pick the perfect meditation seat for your practice. As a rule of thumb, a higher cushion is beneficial for those with tighter hips, while those who are naturally more flexible can use a lower cushion. Ideally, your cushion should allow you knees to drop lower than your hips. All Halfmoon sitting cushions are filled with Canadian grown buckwheat and include zippers so you can remove the fill to decrease the height of the cushion as your hips become more flexible. All cushions are assembled at Halfmoon in Vancouver. A beautiful option for floor sitting. At 15” in diameter, the Home Cushion is wide enough that you can feel steady and well supported in meditation or casual sitting. 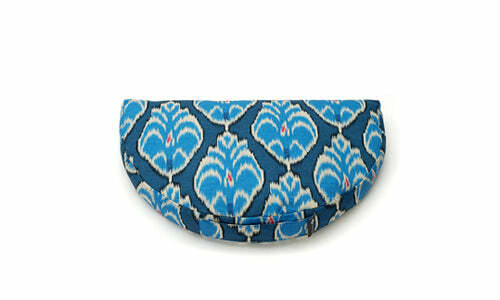 This cushion is also tall enough at 6” high to support those with tighter hips. Create the ultimate zen meditation corner with the Home Cushion or set up multiple cushions around a coffee table for additional seating in your living room. Stack the Home Meditation Cushion on a Zabuton to take the pressure off your feet and ankles and create the ultimate luxurious bohemian style seating in any room. 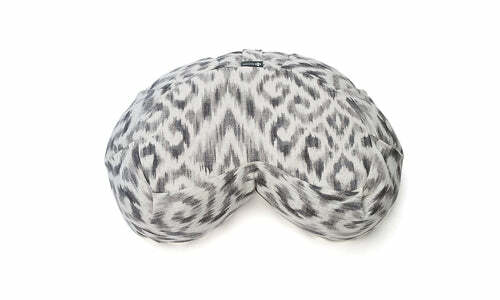 A modern look for a meditation cushion. Like the Home cushion, the Mod has sleek lines and has enough height for those with fairly tight hips. The difference between the Home Cushions and the Mod is the Mod is slightly shorter and has a smaller diameter. The Mod is available as part of a Sit Set with the Zabuton floor cushion. Doubles as a small sitting cushion for your living room. Dimensions: 8" x 18" x 6"
If you prefer to kneel during meditation, then the Bridge cushion is for you. At 6” high, it’s one of our tallest cushion (great for tight hips) and can be used both for kneeling, sitting cross legged, or sitting Burmese style (foot in front of foot). It’s versatile, and can double as a yoga bolster to support you in backbends and other postures. Stack it on a Zabuton to take the pressure off your feet, ankles and shins. Dimensions: 20" x 11" x 5"
Do you like to tuck your feet close to your body while you sit? The heart shaped pleated, Halfmoon Cushion provides moderate lift and offers a wide stable base for full support. Great for those with with fairly flexible hips. 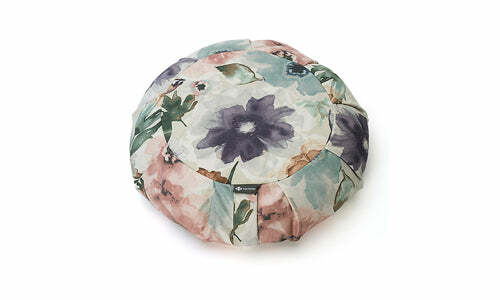 The Halfmoon is also available as part of a Sit Set with the Zabuton floor cushion. The classic meditation cushion. Like the Halfmoon Cushion, the Round is pleated and provides moderate lift. The difference? This one is perfect if you have fairly flexible hips but don't need space to tuck in your feet. 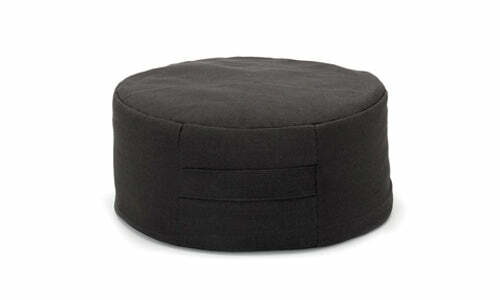 Also available as a Sit Set, paired with a Zabuton, for a complete meditation package. Our lowest and lightest meditation cushion, the Om Meditation Cushion is perfect for travel or for those with flexible hips. 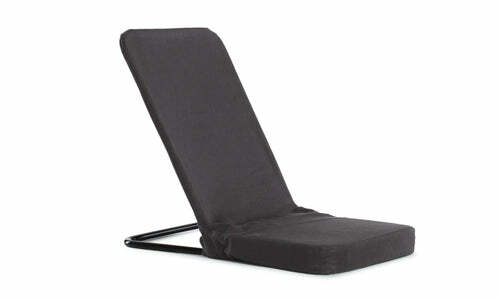 It will support you in any cross-legged or Burmese style (foot in front of foot) sitting. 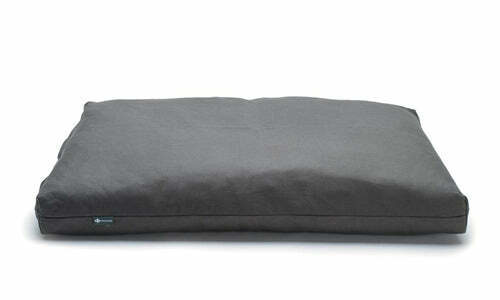 A minimalistic meditation cushion to take with you on your travels. Or, stack two or more to accommodate any height. Have you ever found that your feet or ankles are aching during meditation? Even if you’re using the right meditation cushion, the places where your lower legs press into the floor can be tender. This is where the Zabuton Meditation Cushion helps! 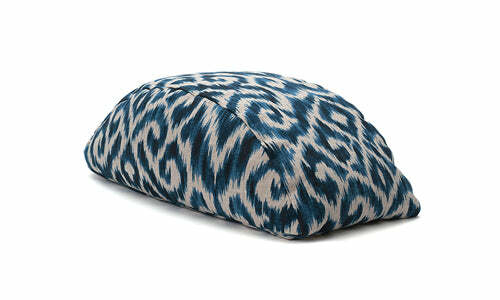 Simply a meditation must-have, a Zabuton is a large low floor cushion filled with cotton batting. 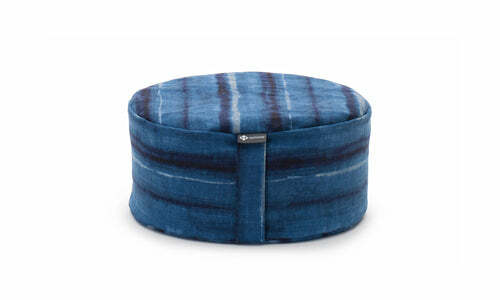 When placed under your buckwheat filled meditation cushion, it provides padding for the feet, ankles, and lower legs. These two cushions together are called a Sit Set and are the ultimate for any meditation or sitting practice. The Meditation Chair (also commonly known as a back-jack) is the solution for those of us who find floor sitting uncomfortable and need support for your back. It supports with five different inclines, from upright to completely flat. Pair it with a Zabuton to extend your legs in comfort, or place a Mini Cylindrical Bolster under each knee to relieve any pressure on your joints.